Muirlea Rise - "Wines with soul" is a boutique Martinborough vineyard whose goal is to produce wine reflective of it's vintage with minimal intervention. They are one of the only wines in the region to still use cork. Muirlea Rise offer an in-depth personalised 1 hour vine and vintage tour with a behind the scenes tour/talk and tasting experience of the Martinborough wine industry. Your host Shawn, will take you through the entire process from cultivation of the vines and harvesting of the grapes, to the distilling process, and of course tastings of the boutique wines, all on site. The tour is available Saturday to Tuesday (weekends from 1.40pm and weekdays from 11.25am), all year round. 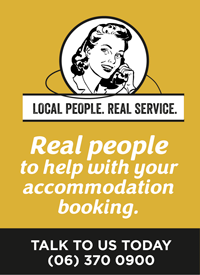 Please call Martinborough i-SITE to book on +64 6 306 5010. Please note that payment in full is required to secure a booking. Muirlea Rise also offers a cellar door experience for large groups too, with a booking. Cellar Door: 11am to 5pm Saturday to Tuesday. Vineyard Tour: Saturday to Tuesday (weekends from 1.40pm and weekdays from 11.25am).